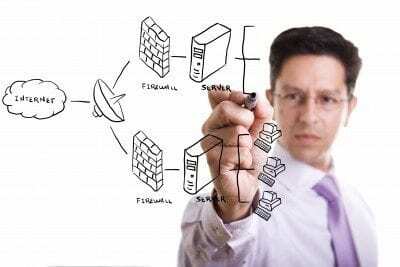 Information Security is About Liability, Accountability and Ultimately Your Profitability. It’s Our Business To Protect Your Business, Where Would You Like To Start? NCX offers Strategic and Tactical Information Security Services designed to protect the data in your business and meet compliance. Business Disruption can be expensive. What Will it Cost to Recover? What’s the Plan? If you don’t know the answers we can help. No matter your level of security or preparedness there’s always a chance something can go wrong. How Will Your Organization Respond? Designed Specifically for SMB in mind. NCX can bring a security team approach to protecting your business while reducing security costs. The risks are greater and more costly now than they were 10 years ago. Did you know that the average cost of a breach is now $7MM? Did you also know that over 50% of small and medium businesses experienced a breach in 2018? Out of those attacks, 66% of those companies won’t survive more than six months. Small and Midsize Enterprises are the primary targets for the bad guys around the world. Research also shows 74% of businesses are reporting a shortage of cybersecurity skills, and that nearly 50% of businesses have no understanding of how to protect their companies. It’s Time To Look At These Business Challenges Differently, and MyCSO Is The Solution. Over the last 15 years, we have successfully helped numerous companies and organizations in all market segments become more secure, mitigate their risk, actually meet compliance & regulatory requirements and ultimately grow revenues. Research shows that 74% of businesses are reporting a severe shortage of cybersecurity professionals and that’s why we created NCX Group Staffing. NCX Group conducts phishing simulations as an effective way to test employees’ security awareness and susceptibility to social engineering tactics. By focusing on phishing, your company can meet a significant need while using a highly automated method. Let’s Talk About What We Can Do For Your Business! Not all consulting engagements are created equally find out why NCX Group is a difference your business can count on. Learn From The Information Security Failures ALL Businesses Are Making. 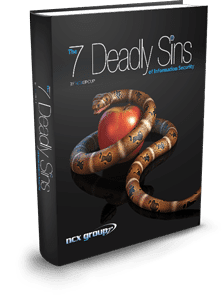 Download The 7 Deadly Sins E-Book Today!